I had the opportunity to both attend and keynote speak at IBM Impact this week. Impact is a turbo-charged conference that addresses the way technology is changing business and the world in general. They open the stage to industry thought leaders who tell impactful stories of progress and success through optimization and integration. Each day had a separate focus, but collectively it had me thinking about an overarching theme: "transitions in technology”. I've been reflecting on this theme relative to companies I've worked with or consulted for in the past, and new ones I've come in contact with through friendly association or freelance. I've watched successful change, push-back to adaptation and in many cases, complacency. Each of these fascinated me and made it clear that the way a company handles and utilizes IT in the present will determine its immediate future. Who is leading your technology? Are they ahead of trends? Are they pushing upper management to make the necessary changes even after resistance? Are you making investments in future-forward technologies even though you may take a hit initially? Are your tech leaders thinking far enough out? Are they experienced? Are they taking cues from new talent out of top universities? Are they sharing with other departments and streamlining their ideas? Do you personally have a thorough understanding of what's happening on the IT side of your business? It's a lot to think about – but each question in itself could be imperative for the future of a business. It's too often that transition is resisted by larger corporations due to the requisite layers of approval or by smaller companies who just don't realize how many opportunities can arise after 1-2 days of consultation. 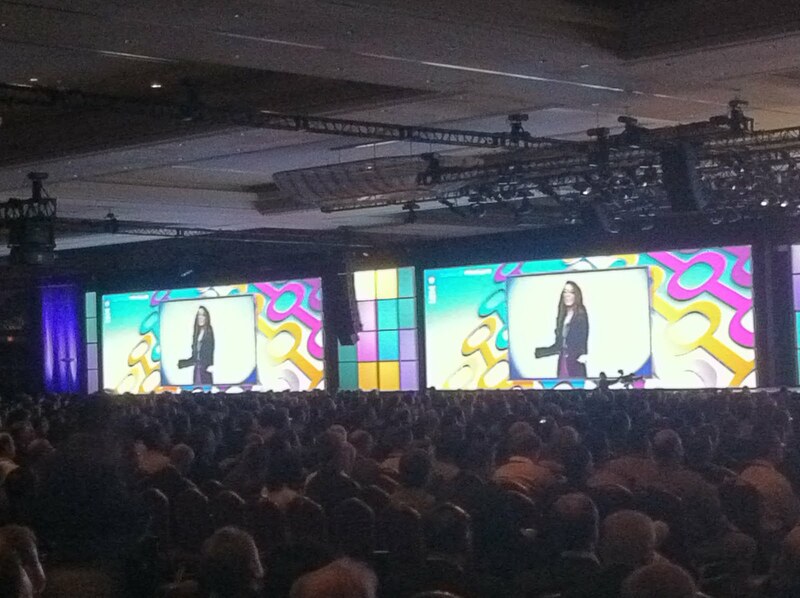 Marie Wieck, GM of IBM WebSphere spoke on how change is necessary. She also made a great point that it's a constant process -- you’ll need to keep changing and adapting. Special thanks to IBM'ers for having me at this event. So rewarding to have met so many bright individuals, rekindle my flame with Watson and of course get my IT brains thinking a whole lot about future forward innovations and progress.